Browse: Home / BetterCap v1.3.7 – A complete, modular, portable and easily extensible MITM framework. 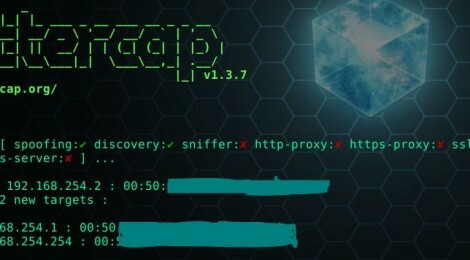 BetterCap v1.3.7 – A complete, modular, portable and easily extensible MITM framework. + New PGSQL authentication parser. + New MYSQL authentication parser. + New NTLM protocol parser and NTLMSSP Authentication sniffer. + HTTP Auth parser can now parse every kind of Authentication header ( NTLM authentication too ). + Printing * when an address is 255.255.255.255. + Resolving port to network service name when possible. + Fix: Do not send probes to already discovered devices. + Fixed bug in sslstripping which caused the client connection to hang when sending expired cookies. + Fix: Using either tcp_dst or udp_dst in StreamLogger. + Fixed metaprogramming bug in BetterCap::Network::Protos::Base. + Using Response static methods to generate constant HTTP responses. + Autoload every Ruby file in bettercap installation. ← randkit – Random number rootkit for the Linux kernel.